6 NOS bulbs. 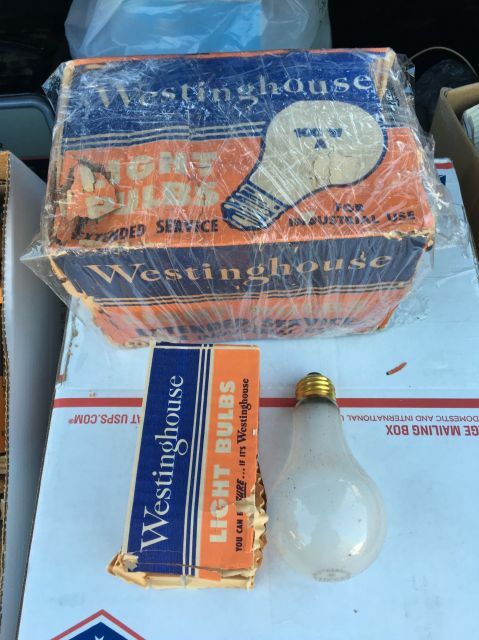 Package design is 1940s but the bulbs are actually from 1965. Wow! glad you got it, I saw that and wait til payday but later gone! Opps! But at least it's in good hands. A bit of everything, old package style and newer post 1960 logo. They must been trying to use up extra older packaging stock.